Why are we publishing a story about Villanova’s librarians now? It is part of the University’s history, of course, but it seems especially appropriate to look back at this time because Falvey Memorial Library is undergoing another leadership transition. Joseph P. (Joe) Lucia, who has been the University Librarian and Director of Falvey Memorial Library since 2002 will be leaving July 1 to become the dean of university libraries at Temple University. Darren G. Poley, Outreach librarian, will be the interim Library Director. Although Villanova College was founded in 1842 and classes began in 1843, Villanova did not have a librarian until the Rev. Thomas C. Middleton, OSA, arrived on campus in 1865. By that time, the College had already had six presidents. There was, however, a college library with a reading room as early as the 1840s; it distributed books on Tuesdays and Sundays and “Members” who paid 12 ½ cents per month were allowed to check out two books. Father Middleton was not trained as a librarian, but he loved books and he was interested in collecting and preserving them. These characteristics qualified him for the position of college librarian. Father Middleton (1842 – 1923) served as librarian from 1865 until 1923 and he was also the tenth president of Villanova from 1876 until 1876. He died November 19, 1923, and is buried in the Augustinian Cemetery on campus. Father Middleton served 58 years as the College librarian and he is the only librarian to become a president of Villanova. Middleton Hall is named in his honor. 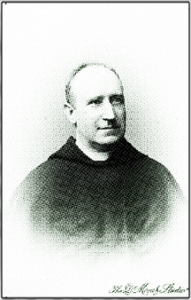 In July 1884 Father Middleton was one of the founders of the American Catholic Historical Society of Philadelphia (ACHS). He was its first president (1884 – 1890). The ACHS was founded to “collect, research, record and maintain a history of Catholic contributions to our culture.” http://www.amchs.org/ It is the oldest Catholic historical association in the United States and Villanova’s connection with the ACHS continues into the present. On October 17, 2008, Library Director Joe Lucia; Louis N. Ferrero, president of the ACHS; and the Rev. Msgr. James P. McCoy, executive director of ACHS, signed an agreement to digitize numerous items from the ACHS collections: http://newsletter.library.villanova.edu/214 The digitization project began with early editions of American Catholic Studies, the oldest Catholic scholarly journal, continuously published since 1887. The ongoing results of this project can be seen in the Digital Library at http://digital.library.villanova.edu/Collection/vudl:208284. The Rev. 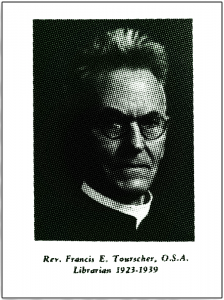 Daniel P. Falvey (1906 – 1962) followed Father Tourscher as college librarian His name is familiar to Villanova students; Falvey Memorial Library is named in his honor. 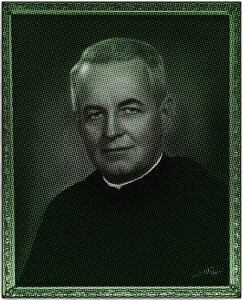 In 1931 Father Falvey graduated from Villanova College with a bachelor of arts degree; he had joined the Order of St. Augustine in 1928 and was ordained in Washington, D.C., in 1934. The following year he became the assistant librarian at Villanova. 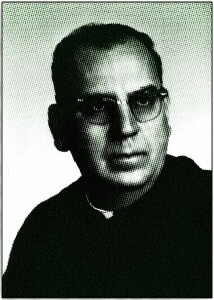 After earning a bachelor of science degree in library science from George Washington University, Father Falvey attended Columbia University where he received a master’s degree in library science in 1940. He became the college librarian in 1940, Villanova’s first library director with a degree in library science. During Father Falvey’s twenty two years tenure, Villanova built a library, the first time there was a building erected for this purpose on campus. Father Falvey organized the Friends of Villanova Library to raise funds for the new library; he and the Friends raised nearly a million dollars. The groundbreaking was celebrated on January 23, 1947, and the building was dedicated on April 22, 1949. This is the present day Falvey Hall, also known as Old Falvey and Falvey West. Father Falvey also saw Villanova College become a university when the Court of Common Pleas of Delaware County issued the decree on November 18, 1953, creating Villanova University. In 1968 the newly constructed Falvey Memorial Library was named in his honor. The next librarian, the Rev. Louis A. Rongione (1912 – 1980), OSA, served Villanova’s library for eighteen years, from1962 until 1980. Born in Italy, Father Rongione came to the United States with his family and lived in Philadelphia where he studied at St. Rita parish school. In 1927 he became a postulant at Augustinian Academy, Staten Island. He graduated from Villanova College with a bachelor of arts degree in 1936. He studied theology at Augustinian College for four years and earned a master of arts degree in education from Catholic University, Washington, D.C., in 1940. 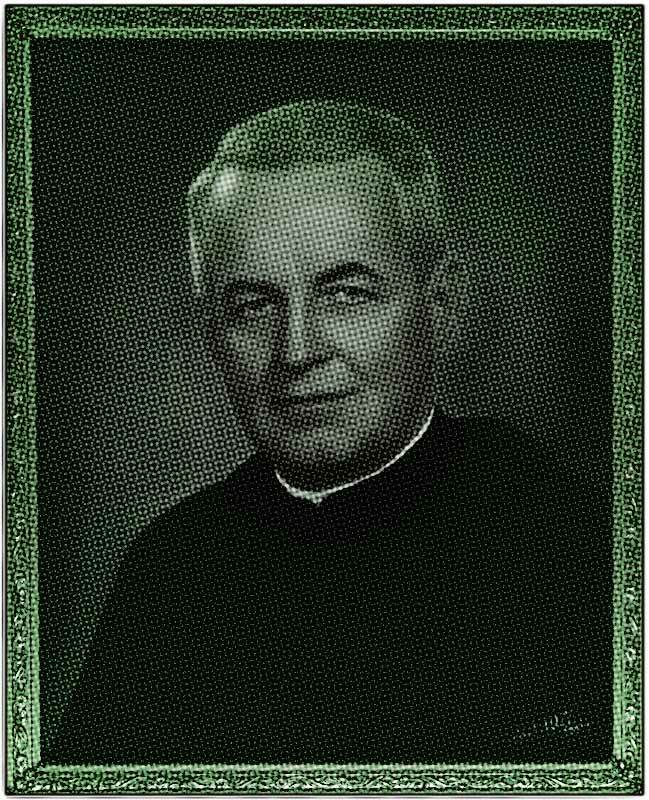 He was ordained in 1939 and held various teaching positions in Chicago and Staten Island until he was appointed dean of the evening division of Villanova College in 1950. In October 1952 he became the librarian at St. Monica, Rome, and in 1953 he returned to Villanova as a professor. When Father Falvey died in 1962, Father Rongione became the Villanova University librarian and chairman of the library science department. A prolific author, he wrote books of homilies, articles on library science, articles on religious education and The Liberty Bell’s Sister, a book about the “Sister Bell,” which has a history closely allied to the Augustinians of Philadelphia and to Villanova. Father Rongione’s successor, the Rev. Harry Cassel (1924 – 2011), OSA, served as the University Librarian 1980 – 1981. Born in Norristown, Pa., he attended local parochial schools and entered the Order of St. Augustine as a postulant in 1942. He graduated from Villanova College with a bacholor’s degree in 1947, attended the Augustinian College where he studied theology and in 1951 he received his master’s degree in English from the Catholic University of America. 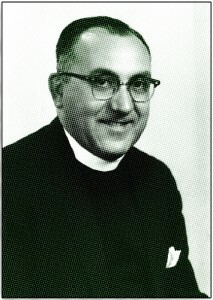 He was ordained in 1950. After serving assignments at Malvern Preparatory School, Archbishop Prendergast High School, Monsignor Bonner High School, and St. Augustine Retreat House, in 1968 Father Cassel was elected as a Definitor of the Province and came to Villanova. He was the Province Archivist from 1979 – 1981 and University Librarian 1980 – 1981. Father Cassel served in various positions until he retired to the St. Thomas of Villanova Monastery in 2005. He died in 2011. Stay tuned for more fascinating history on the legacies of Villanova’s librarians, including the namesake of the Griffin instruction room, and the “reluctant” three-time director. Coming later this week! Photographs courtesy of Villanova University Archives.